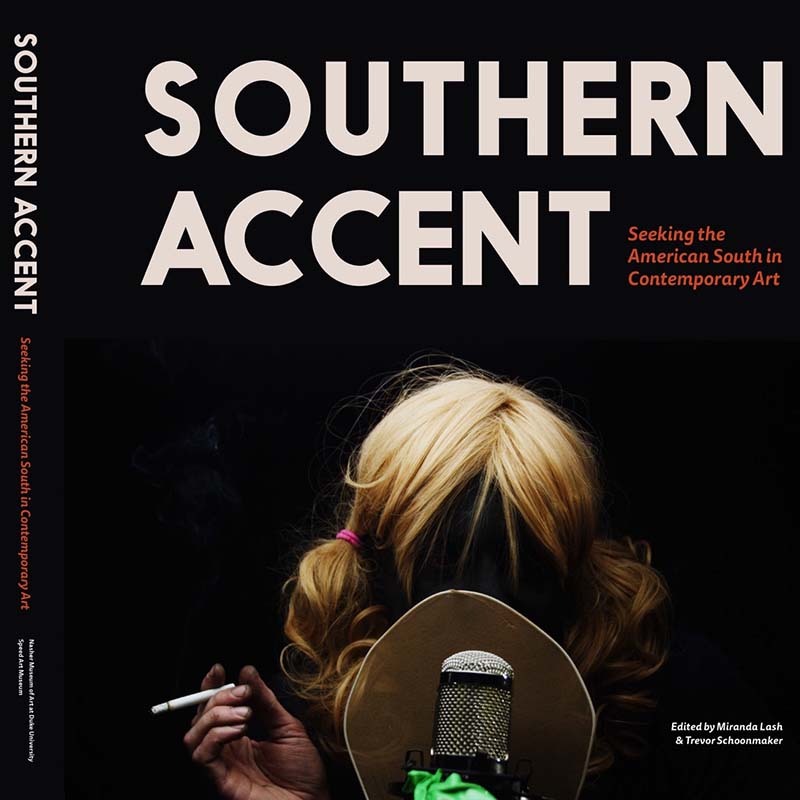 Southern Accent: Seeking the American South in Contemporary Art is published by the Nasher Museum of Art at Duke University and distributed by Duke University Press. This beautifully designed 276-page catalogue offers a robust expansion of investigations raised by works in the exhibition, with texts from myriad perspectives, ranging from groundbreaking scholarship to poetry, song lyrics and personal reflections. The catalogue is available for purchase at the Nasher Museum Store. Contributors include Diego Camposeco, Mel Chin, Brittney Cooper, John T. Edge, William Fagaly, Carter Foster, Brendan Greaves, Harrison Haynes, Andrew Hibbard, Patterson Hood, Miranda Lash, Ada Limón, Ari Marcopoulos, Mark Anthony Neal, Catherine Opie, Fahamu Pecou, Richard J. Powell, Tom Rankin, Dario Robleto, Trevor Schoonmaker, Bradley Sumrall, Natasha Trethewey, Kara Walker and Jeff Whetstone. The catalogue also features a selected music chronology, reading list and timeline of scholarship on southern art. The Southern Accent exhibition catalogue is co-edited by the Nasher Museum’s chief curator, Trevor Schoonmaker, and the Speed Art Museum’s curator of contemporary art, Miranda Lash. Catalogue design by Julie Klugman Braude and Reneé Cagnina Haynes.